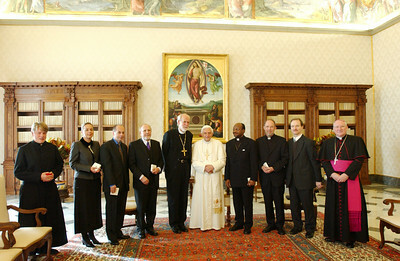 A seven-member delegation of Lutherans met Nov. 7, 2005, with Pope Benedict XVI in the library of his Vatican residence. 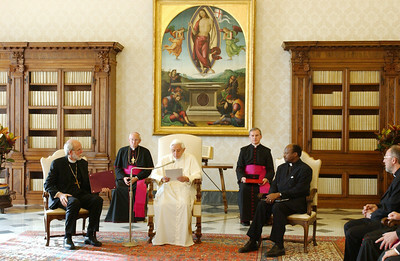 The Lutheran delegation was accompanied by Bishop Brian Farrell (right), secretary, Pontifical Council for Promoting Christian Unity (PCPCU), and the Rev. Matthias Türk (left), PCPCU staff relating directly to Lutheran matters. 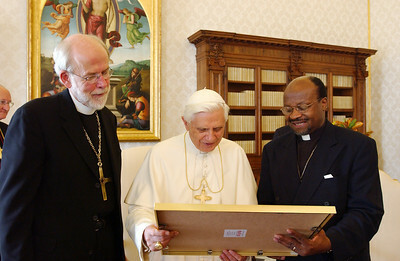 Pope Benedict XVI delivered a prepared statement Nov. 7, 2005, to a delegation from the Lutheran World Federation (LWF) in the library of his Vatican residence as the Rev. Mark S. Hanson (left), LWF president, Chicago, and the Rev. Ishmael Noko (right), LWF general secretary, Geneva, listened. 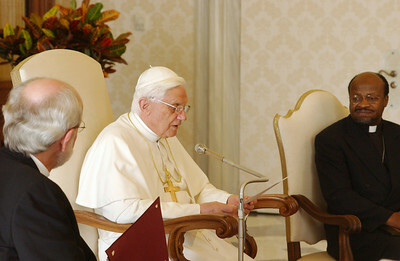 Pope Benedict XVI delivered a prepared statement Nov. 7, 2005, to a delegation from the Lutheran World Federation in the library of his Vatican residence. The Rev. 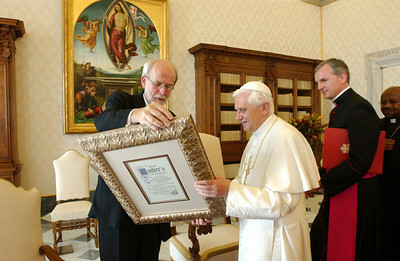 Mark S. Hanson (left), president, Lutheran World Federation, Chicago, presented Pope Benedict XVI with a framed copy of Martin Luther's Evening Prayer at the close of a Nov. 7, 2005, audience in the library of the pope's Vatican residence. The Rev. 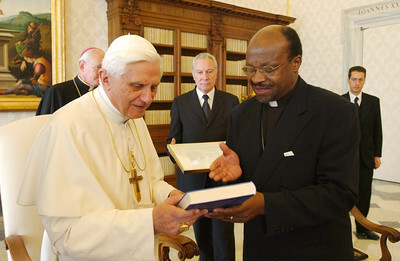 Ishmael Noko (right), general secretary, Lutheran World Federation (LWF), Geneva, presented Pope Benedict XVI with a framed copy of the Joint Declaration on the Doctrine of Justification as the Rev. Mark S. Hanson (left), LWF president, Chicago, looked on. 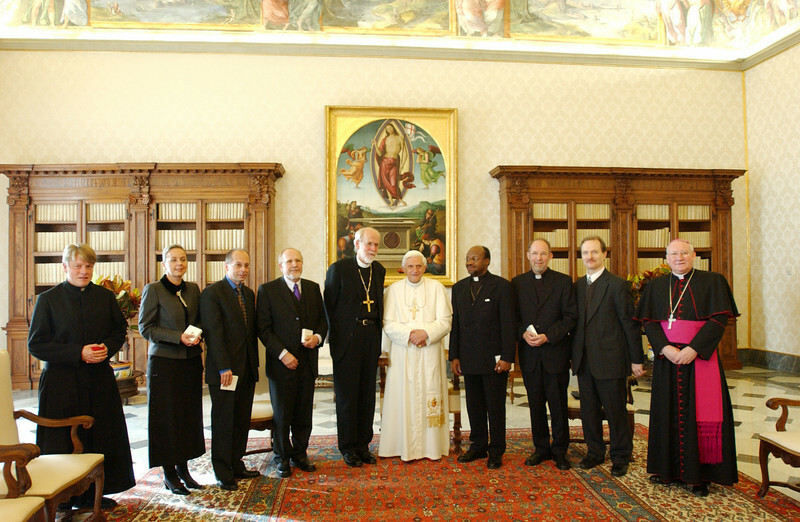 The LWF and Vatican signed the Joint Declaration in 1999.